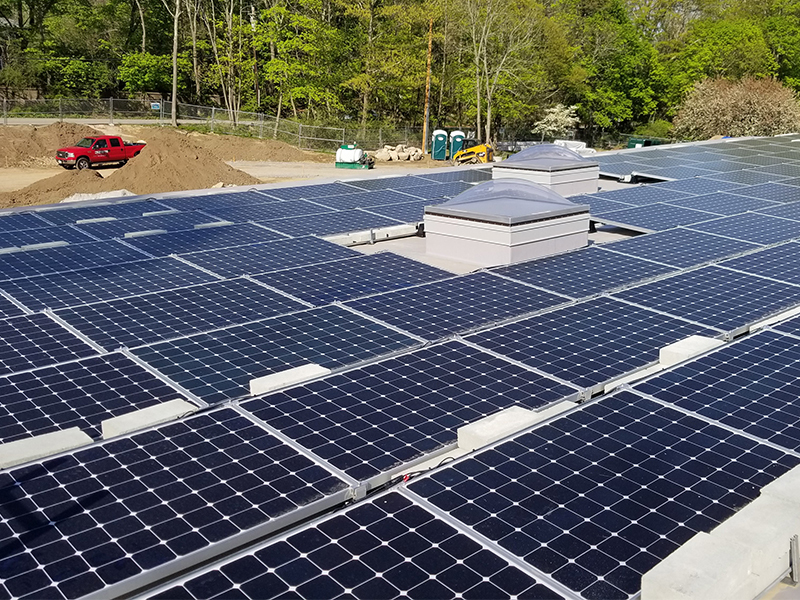 When it came time to put solar power on Mass Audubon's Environmental Learning Center, installer New England Clean Energy chose to max out the roof space with power. To get the most out of the roof area, they chose a high density solution: EcoFoot5D 5-Degree Racking. The result is a 42.8 kW solar installation on Mass Audubon's new home for the Environmental Learning Center at Drumlin Farm Wildlife Sanctuary. It's a clean and powerful solar installation, featuring a total of 119 panels at 360-watts each. Installed in September, 2018, the facility is located in Lincoln, Massachusetts. Learn more about EcoFoot5D 5-Degree Racking.